Government Forces Impose Fire Control Over Abu Duhur Airbase. HTS Fighters Run Away From Southwestern Aleppo (Maps) 5.1785714285714 out of 5 based on 28 ratings. 28 user reviews. On January 9, the Syrian Arab Army (SAA) and the Tiger Forces, backed by the Russian Aerospace Forces, imposed fire control over the Abu Duhur airbase in eastern Idlib after capturing several key hills around it including Tell Salmou, according to Syrian pro-government sources. The Hezbollah media wing in Syria also reported that the SAA began advancing from its positions southwest of Khanasir in the southern Aleppo countryside towards the Abu Duhur airbase and captured the villages of Huwwarin, Ramlah, Mazi’alah, Nawara, Rasm al-Shaikh and Tall Sabha. Thus, the SAA deployed within only 10km from positions of its allies south of the Abu al-Duhur airbase. This will mean the liberation of all areas controlled by Hayat Tahrir al-Sham in northeastern Hama. The SAA had already captured several areas there including the town of Umm Myal. Syrian pro-government sources also said that members of Hayat Tahrir al-Sham (HTS) are now withdrawing from Hass Mount northeast of the Abu Duhur airbase. From its side, HTS and its allies claimed that they conducted several attacks against the SAA and recaptured several villages. However, pro-government and opposition activists confirmed that these claims are only a propaganda stunt of HTS to keep the public opinion in Idlib governorate on its side. Due to the rapid collapse of the HTS defense, the SAA has chances to secure the whole region between the southwestern Aleppo countryside and the southeastern Idlib countryside soon. 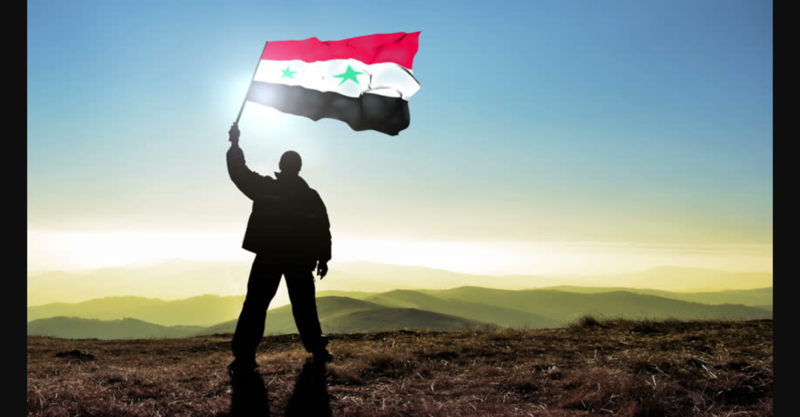 I never doubted that all of Syria will come back under the Government forces–every inch of it. And in truth it is happening no matter the devious ways of the USA and its owner, Israel. Well done Syria. Your homeland will be back to you soon and you will be so much stronger–that means the Golan Heights, also. Erdogan and Netanyahu both Zionist butchers cry when they see SAA advancement. Well done SAA and their allies. Idlib liberation days are numbered. What do you tell Isis when they find themselves trapped inside another SAA pocket? Dig a large hole here and then kneel by it perhaps ? salman rushdie? the beloved by ayatollahs? Well. It’s good to see my prediction about an offensive from the Khanasser direction comes true. Meanwhile there is a russian blogger so called El Murid who’s insisting all the land being liberated is just the iranian and likely russian zone of responsibility according to the Astana agreements between Russia, Iran and Turkey. Ok, it’s to be seen. You can read him here: https://el-murid.livejournal.com/3618874.html (warning: he’s a radical opponent of Putin and his politics – the more interesting his opinion is).